Hardware keylogger. KeyGrabber Air & Pico WiFi USB hardware keylogger. KeyGrabber Pico Air WiFi professional USB hardware keylogger. VideoGhost VGA DVI HDMI frame grabbers. KeyGrabber Pico Air USB hardware keylogger. It's the ultimate hardware keylogger solution. Offers features that work: WiFi, Date&Time stamp, up to 16GB storage, USB fast download mode, national keyboards support & more. 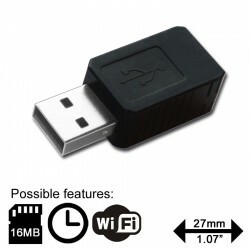 KeyGrabber is the world's smallest and best-selling USB & PS/2 hardware keylogger. 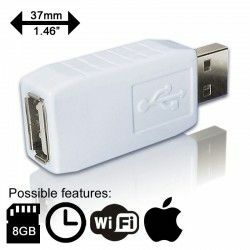 VideoGhost is the smallest VGA, DVI & HDMI frame grabber. 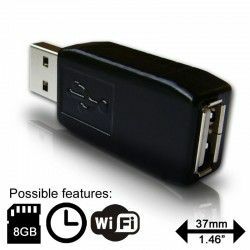 Multilogger hardware keylogger is dedicated for USB bar code scanners and keyboards. The world's best known USB hardware keylogger. All the features of the standard USB keyloggers, with an additional time tracking module powered by an internal battery, WiFi connectivity and storage up to 8GB. 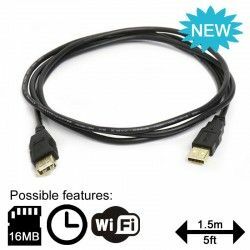 The VideoGhost is an innovative tiny frame-grabber, hidden inside a standard video cable. 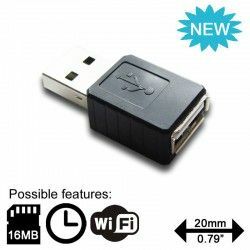 It may capture the video signal of a computer or laptop to a JPEG image, and store it to the internal 8 Gigabyte flash drive. The VideoGhost is a purely electronic device, meaning it requires no software or drivers, and does not interfere with the standard video transmission to the monitor or TV. Simply add the WiFi to your favorite KeyGrabber model. It's available as an easy to use and intuitive add-on module extending connectivity features to access your data remotely (WWW interface, real-time data access, Access Point mode, WiFi client mode, FTP backups, e-mail reports, NTP and more). 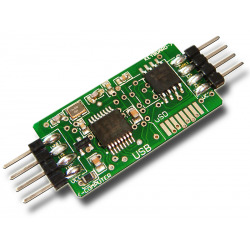 KeyGrabber USB Nano is the miniature version of Classic USB hardware keylogger. Nano uses same logging engine giving industry's best compatibility and offers most of Classic features but being only 1-inch long, Nano takes the PC surveillance and security to next stealthiness level - because size matters! Most popular PS/2 hardware keylogger ever and absolute PS/2 keylogging classic, available on the market for over 10 years and sold in nearly 30K units worldwide. The only and ultimate keylogging solution for PS/2 keyboard users. Full feature support for PS/2 keyboard standard. The KeyGrabber MultiLogger is a multiple channel keyboard recorder. 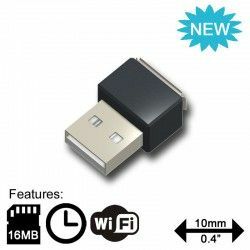 It can monitor up to 4 USB or PS/2 keyboards (or bar code readers) and store the recorded data to internal flash memory. Recorded data can be viewed at any time by switching the device to Flash drive mode. Additionally, recorded data can be streamed in real-time over Ethernet link to any chosen IP address.